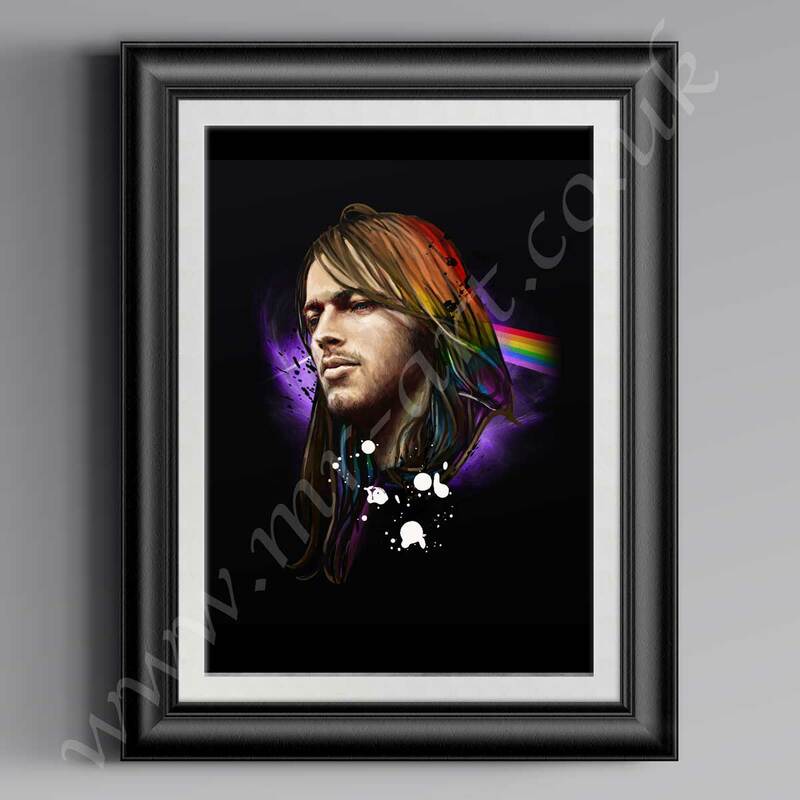 This exclusive David Gilmour print has originally been drawn by artist Mark Reynolds. David Jon Gilmour, CBE (born 6 March 1946) is an English guitarist, singer and songwriter best known as a longtime member of the progressive rockband Pink Floyd. He joined the group as guitarist and co-lead vocalist in 1968, replacing founder member Syd Barrett. Pink Floyd subsequently achieved international success with the concept albums The Dark Side of the Moon, Wish You Were Here, Animals, and The Wall.